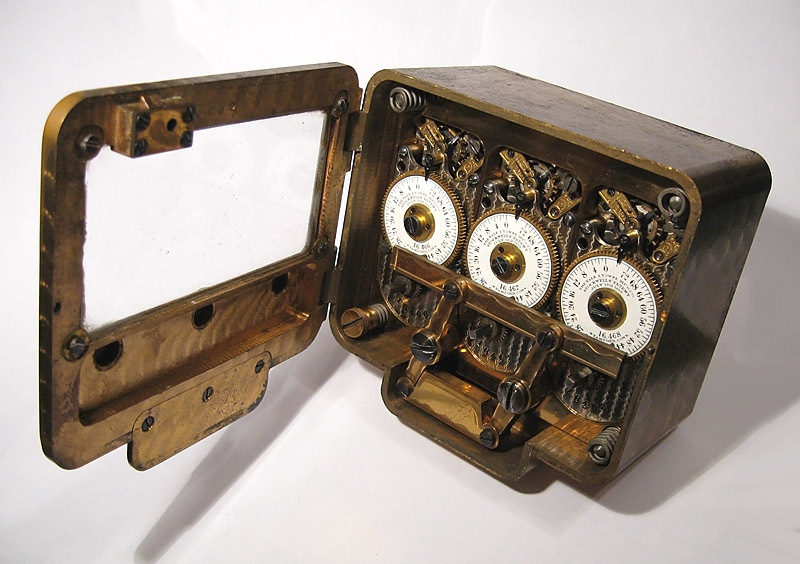 The Yale Triple L is an ornate, early mechanical timelock designed for use in smaller safes and vault doors. 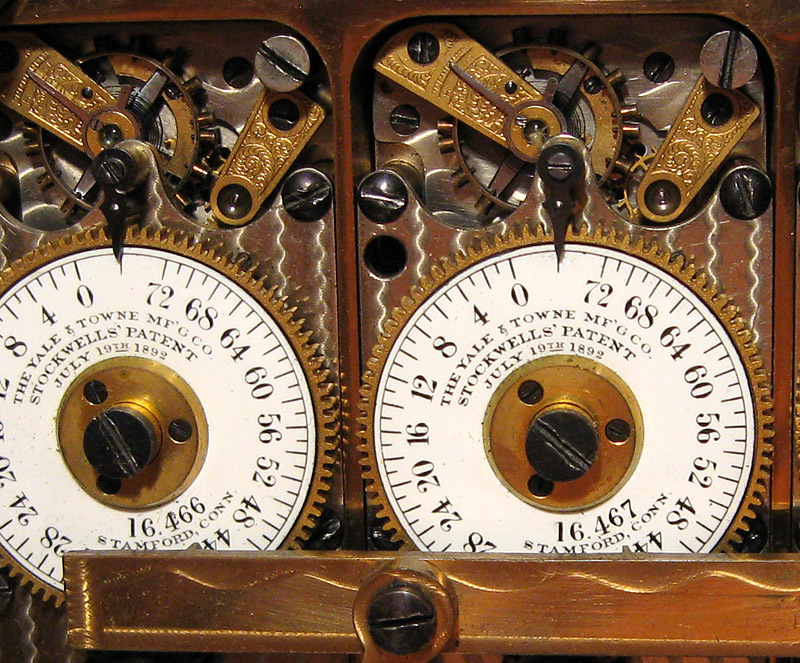 Called such because it contained three Type L movements, the Triple L is one of the most common early timelocks, with more than 16,000 units being produced. 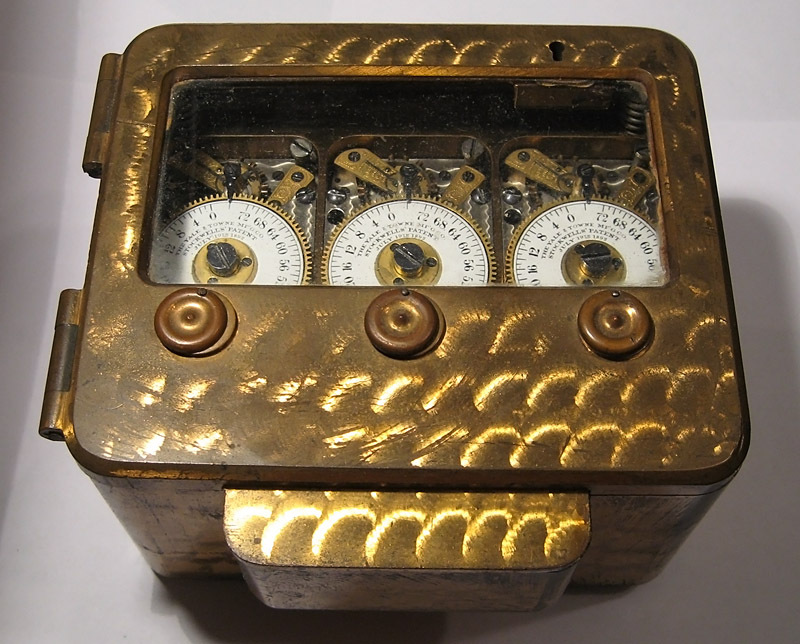 The earliest Triple L time locks had nickel plated cases and an all glass front door with metal escutcheons for the winding holes. These did not see widespread use however, and Yale soon switched to the much more common half metal door used in this example. The door is secured with a key to prevent employee tampering, and contains three holes which allow the timelock movements inside to be wound and set. Each movement contains 11 jewels and is marked with a serial number that is reproduced on all the major parts of the movement, which makes it easy to identify movements which have had parts replaced. 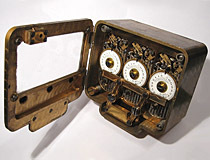 This model of timelock was produced from 1892 to 1920 with the example shown here having been built sometime after 1908. The best way to protect the family jewels from Victorian-era enemies. 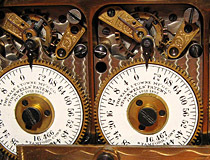 Yale's Triple L time lock contained three Type L timelock movements. The three movements can be wound without opening the case by means of a trio of holes covered by rotating lids.